​Kyler Murray finally made the decision regarding his future, ​opting to play in the NFL rather than pursue a career in baseball. The Athletics will ​recoup most of their signing bonus back from Murray, but will not be compensated with a draft pick. 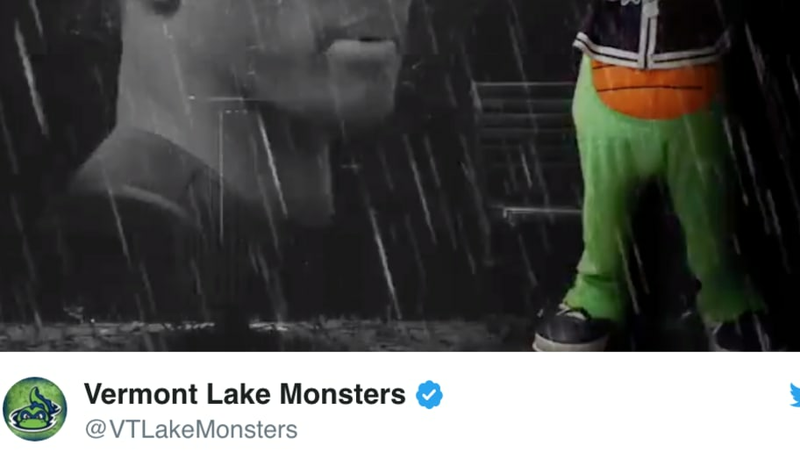 The team's minor league affiliates, the Vermont Lake Monsters, took to Twitter to show their displeasure over Murray's decision, posting a hilarious tweet. Yup, to say the team is heartbroken would be a major understatement! ​​The team brought out some Taylor Swift lyrics in order to show their remorse over losing out on Murray, saying, "He's the reason for the teardrops on my guitar." Murray is projected to be a first-round pick in the upcoming ​NFL Draft and the 2018 Heisman winner is one of the most coveted players in the entire pool. Murray has been touted as a 'Russell Wilson 2.0' type player. If he can adapt to the NFL at the same rate which Wilson did, then Murray could be in for a highly successful career in the league. Though his 5-10 height has some fans scared for his future, his cannon for an arm has others forgetting all about that. Unfortunately for the Athletics, they'll have to watch their first-round pick play football on weekends for the foreseeable future, as Murray has put his MLB dreams on hold, likely for good.